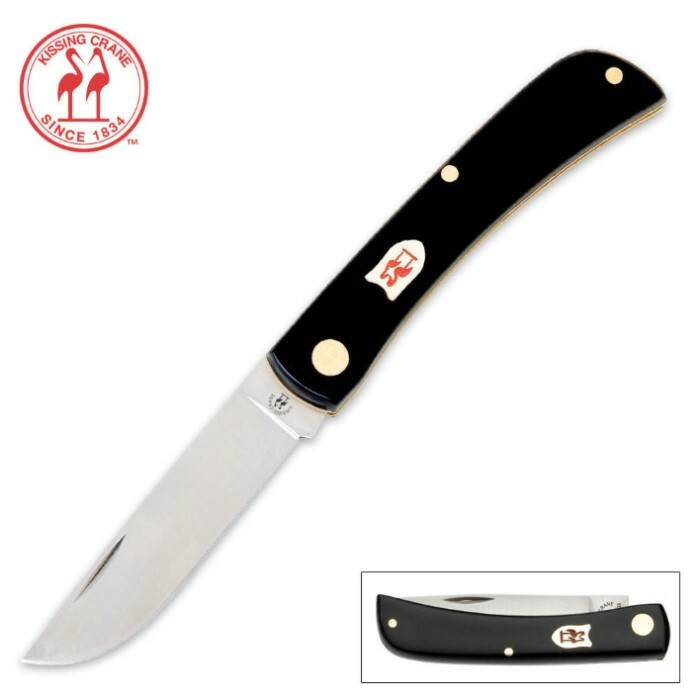 The Kissing Crane Black Gentleman Folding Knife features a 3" stainless steel blade with nail nick. Blue synthetic handle with the distinctive Kissing Crane shield, brass liners, and nickel silver pins. 3 5/8" closed. This is a very simple but just so well made pocket knife. 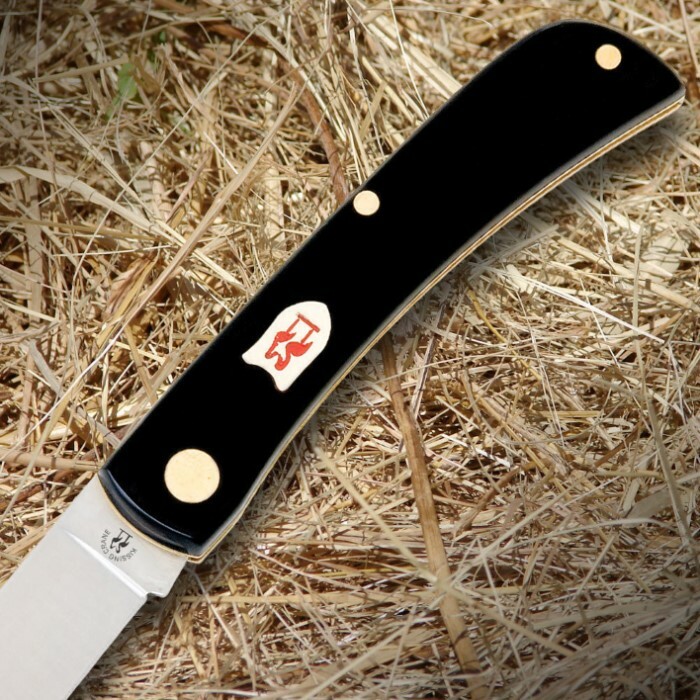 It is very sharp, durable, looks good, and has a great feel. I own about 30 pocket knives and out of all of them this is easily in my top 3. This is definitely 5 star worthy! GOOD VALUE FOR THE MONEY.Should be a good knife to carry.